Jairam Thakur, Bharatiya Janata Party (BJP) leader will be the chief minister of Himachal Pradesh. Thakur was a cabinet minister in the BJP ministry in the hill state and was the minister of rural development and panchayat raj also He was elected to Himachal Pradesh assembly from Mandi. 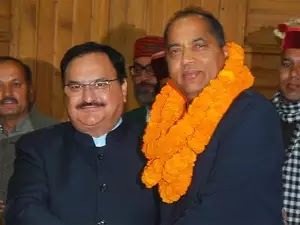 The BJP’s central observer Narendra Singh Tomar announced Thakur’s name after a meeting of BJP MLAs was convened, with all unanimously deciding in his favour. National Park - Pin Valley National Park, Inderkilla National Park, Khirganga National Park, Simbalbara National Park.